This June, Minnesota is honored to host the KPMG Women’s PGA Championship at Hazeltine National Golf Club in Chaska, MN. 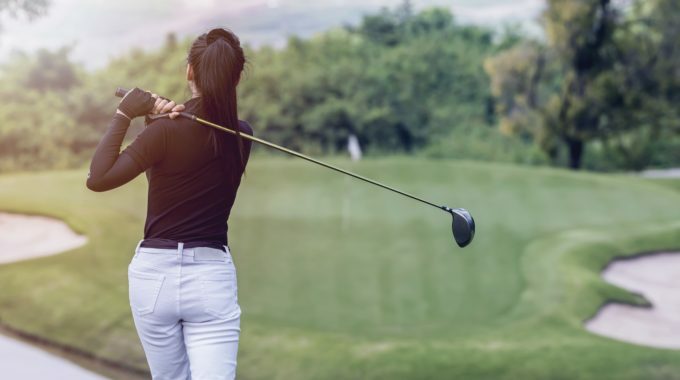 The Women’s PGA Championship will run from June 18-23 so if you are thinking of visiting Minnesota for this prestigious event, here is your guide to what you should see and do, but, most importantly, who to watch. The Women’s PGA Championship is the second-longest running championship in the LPGA, running just behind the U.S. Women’s Open. The tournament began in 1955 and is one of the top five majors in women’s golf. The tournament had it’s share of controversy in 2005 as it grappled with the decision over including both professional and amateur players to compete. During this time, the LPGA revoked it’s “professionals only” standing and allowed all players – including 15-year-old Michelle Wie. It returned to the “professionals only” status only one year later – in 2006. This year, Minnesota gets to be the host, yet again, of a major golf tournament, with Hazeltine National Golf Club hosting the Ryder Cup just a few short years ago in 2016. Interesting Fact: In 2019 the purse for this event will be $3.85 Million. When the tournament began in 1955, the purse was only $6,000! The winner of the 2018 KPMG Women’s PGA Championship was Sung Hyun Park, but we’re keeping an eye out for Nasa Hataoka from Japan, who came in second. She just took home the top prize during the Kia Classic in March of this year. Sure, you won’t be able to get on and play at Hazeltine, but there are plenty of great courses in the area that will give you the best of both worlds – watching golf and playing golf. Located just down the road from Hazeltine, the Chaska Town Course has been recognized as one of the Top 25 Municipal Courses in the USA by Golfweek and rated 4 1/2 stars by Golf Digest. This challenging Arthur Hills-designed layout co-hosted the U.S. Amateur Championship with Hazeltine in 2006 and will do so again in 2024. Braemar has been rated in the top 75 public golf courses in the nation. The area’s natural environment offers a feeling of seclusion amidst its suburban setting. Braemar is located southwest of Edina, just 10 minutes from MSP International Airport and the Mall of America as well as 10 minutes from either Minneapolis or St. Paul. Legends Golf Club features a 30-acre lake, cascading creeks, scenic wetlands, and deep ponds. Legends Club is a stunning 18-hole daily-fee course located southwest of the MSP airport in Prior Lake. Voted the National Golf Course of the Year in 2007, Legends Club has holes stretching as far as the 621-yard #16, yet each hole has five sets of tees to make the playability manageable for all. If you’re looking for more activities, check out the Explore Minnesota website here and enter the days you’ll be in Minnesota. You can also check out nearby restaurants and places to stay. In the market for tickets? Click the link here for more information on the different types of tickets available for the tournament.